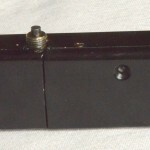 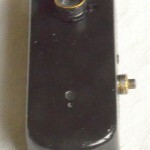 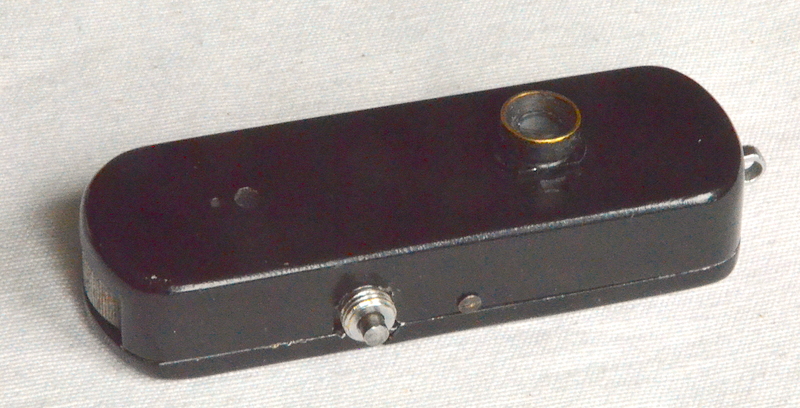 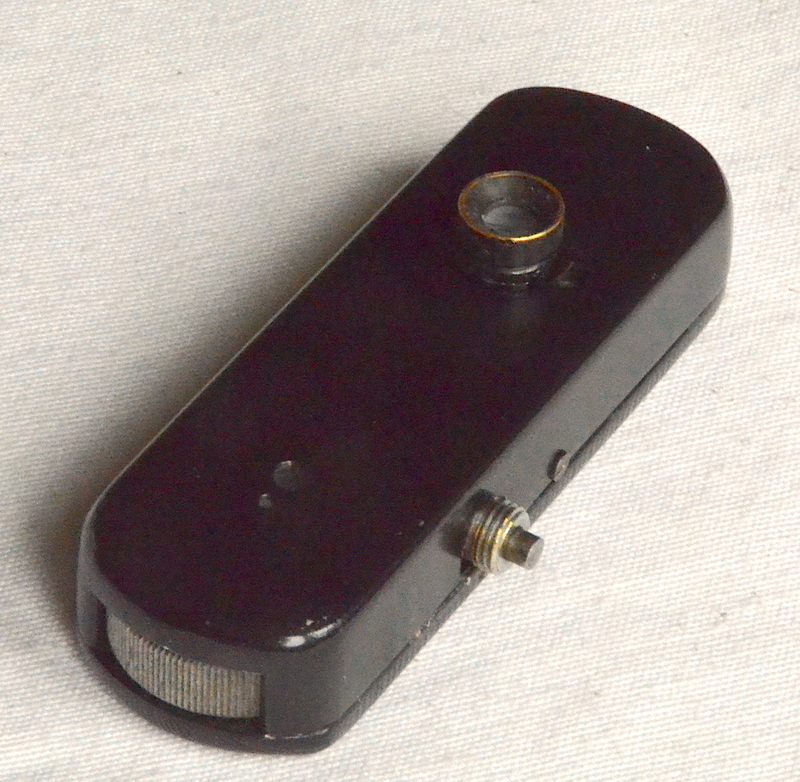 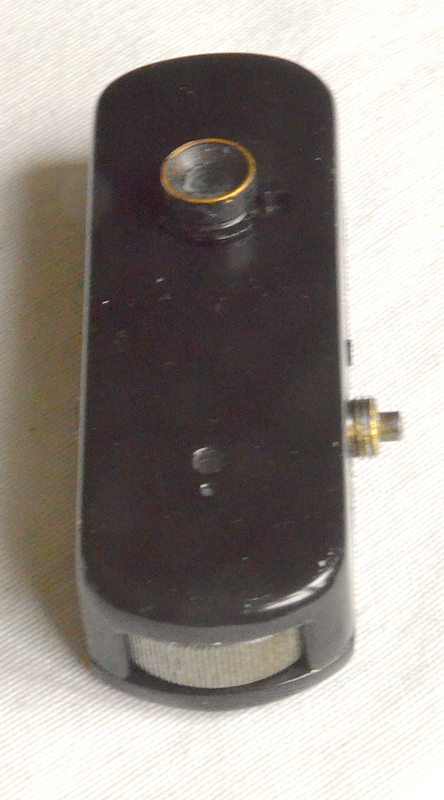 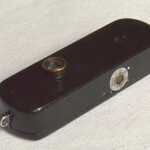 Small Minox style camera with spring motor drive. 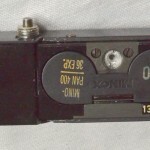 Special body harness holds the Tochka camera and provides remote control of shutter speeds and release. 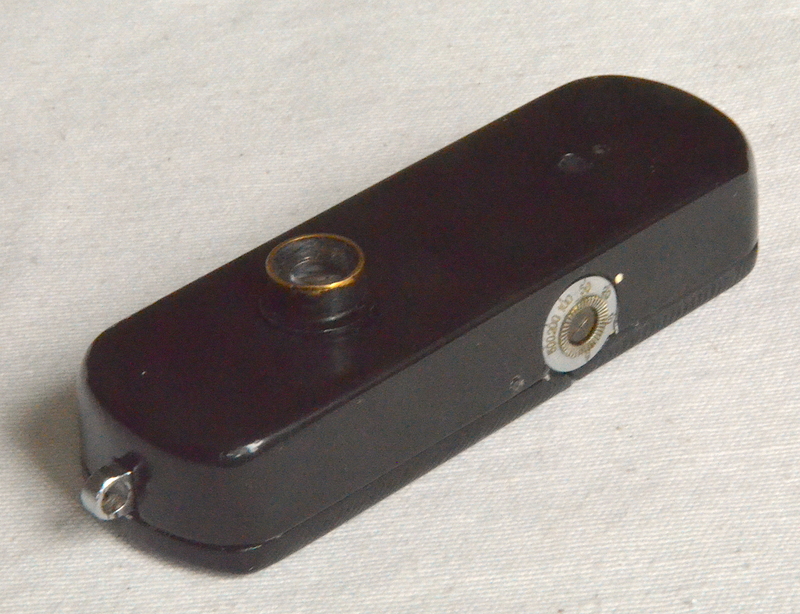 The camera hangs from the neck, behind a tie, with the lens in the middle of a tie pin. 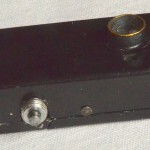 Lens shoots through jewel of tie pin. 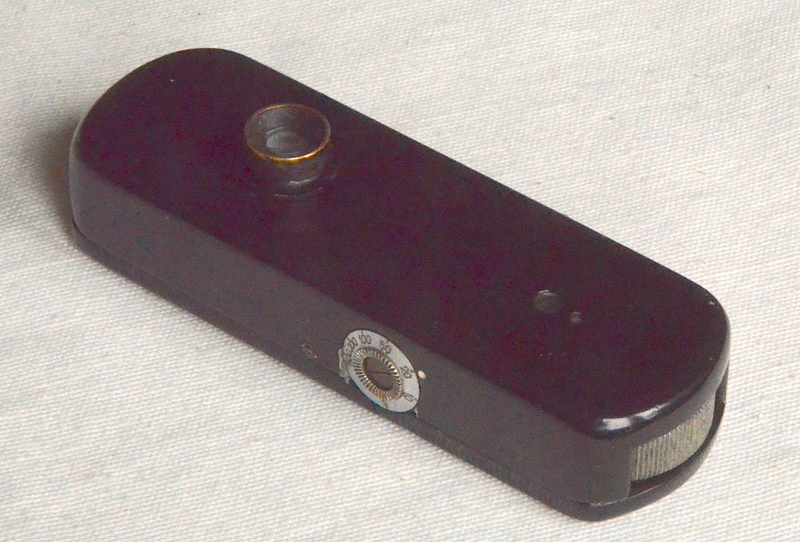 The camera was manufactured in a special section of the KMZ factory for the KGB. 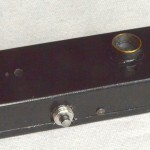 The cameras where unmarked except for a serial number inside the film chamber. 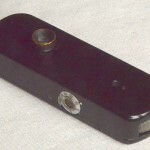 This version has a viewfinder, and fixed-focus lens. 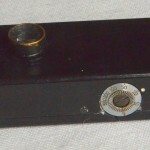 An uncommon and fine camera. 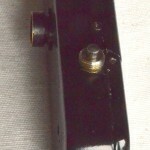 Dit bericht is geplaatst in K, T. Bookmark de permalink.